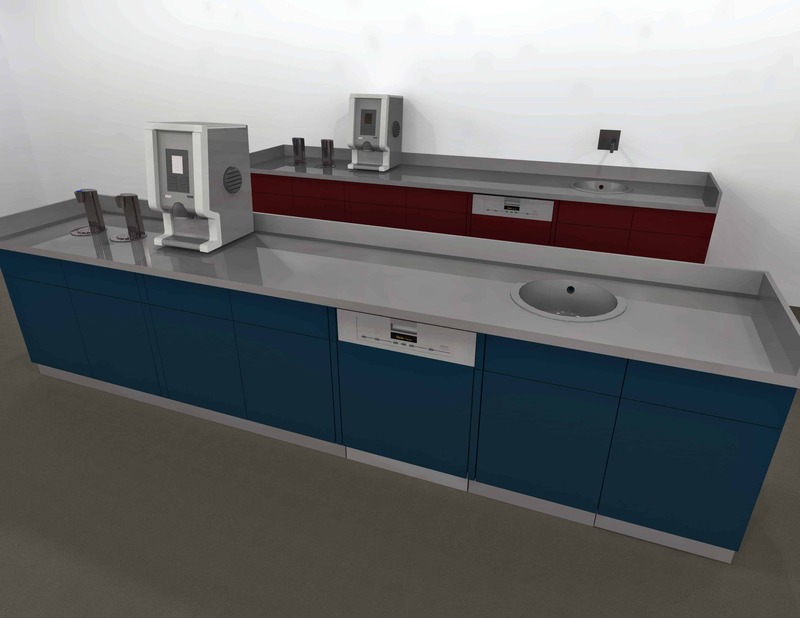 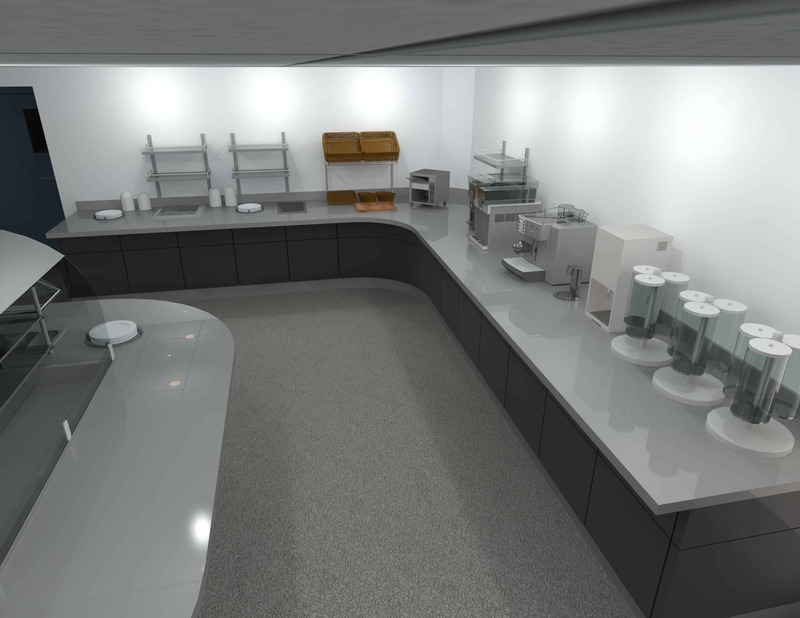 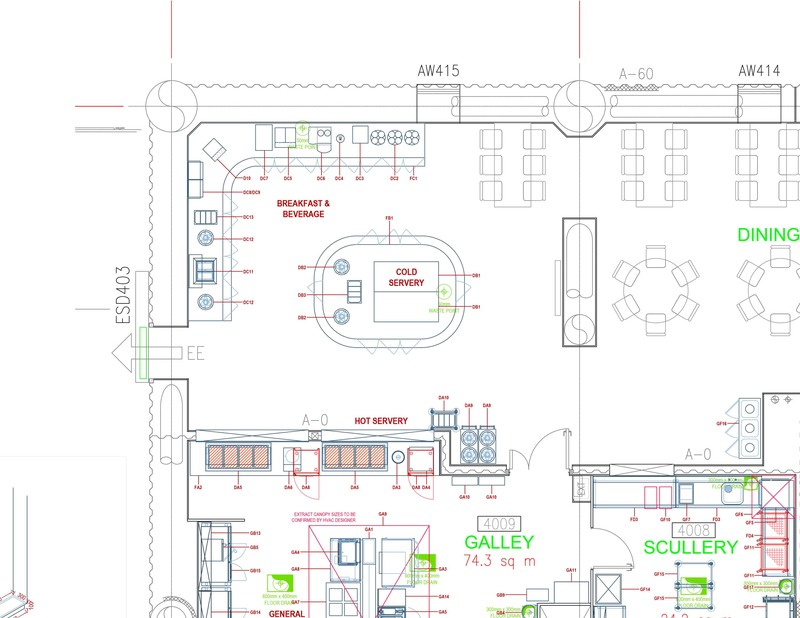 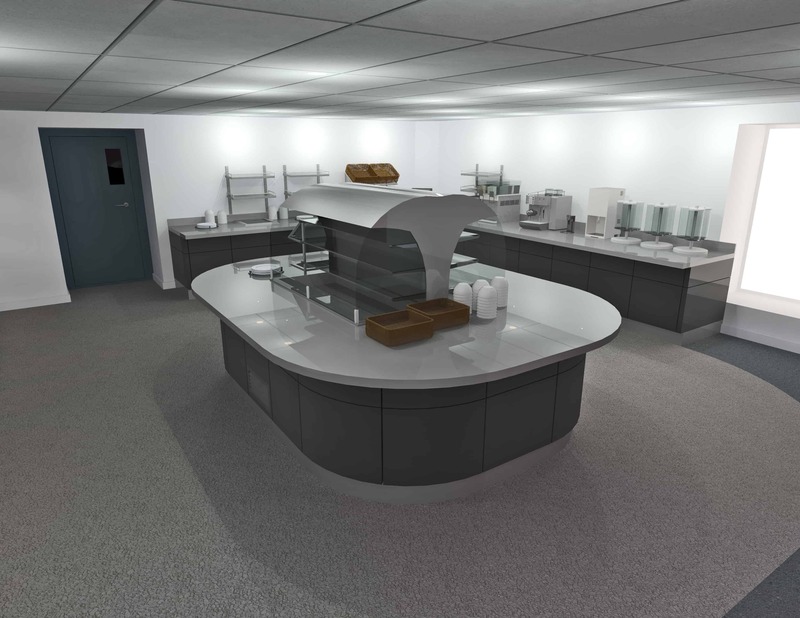 In late 2017 Elite Foodservice Design completed the concept for a ground breaking marine galley. 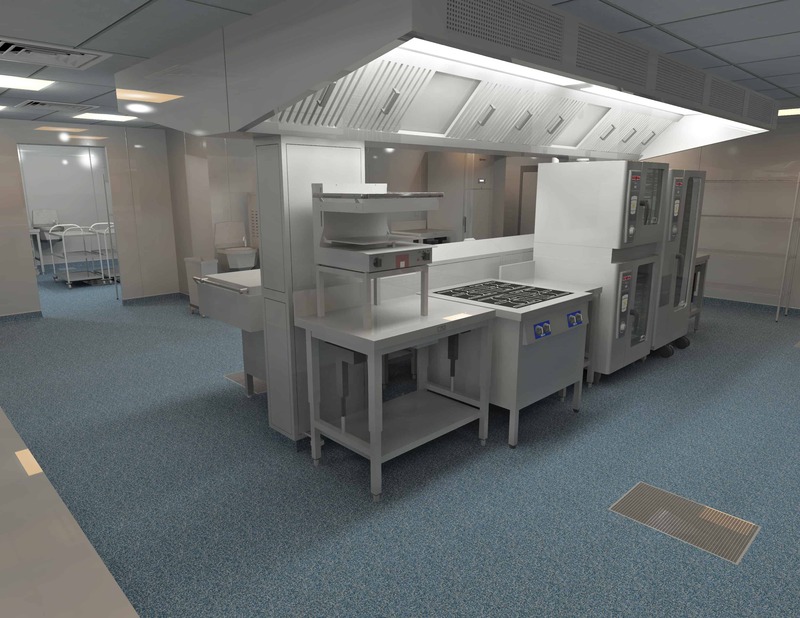 The Maersk Culzean is the latest exciting UK North Sea project for the Oil and Gas industry. 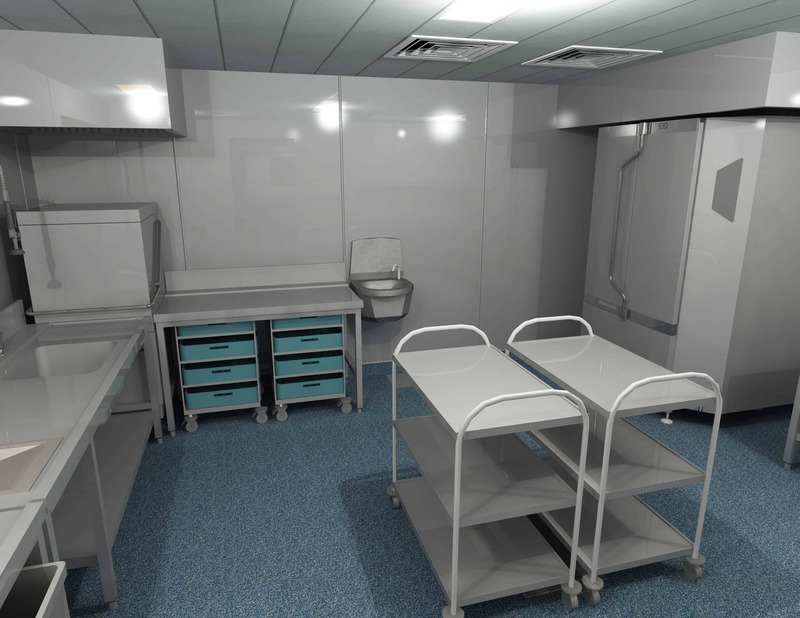 EFD were nominated to design and supply key areas within the Living Quarters Module, all to NORSOK standard. 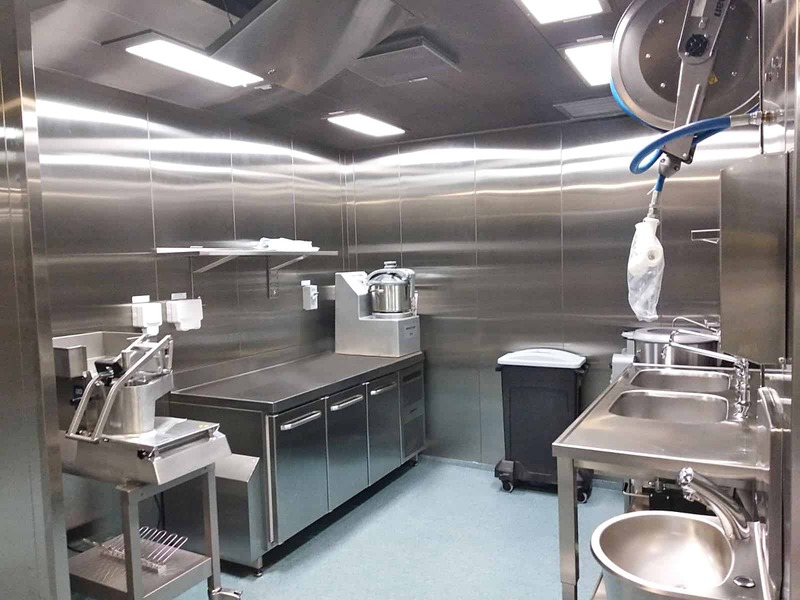 Elite Foodservice design worked closely with Sembmarine Offshore Platforms in Singapore to design and install this fabulous facility and in the process, created an environment that really pushes the boundaries of design and specification. 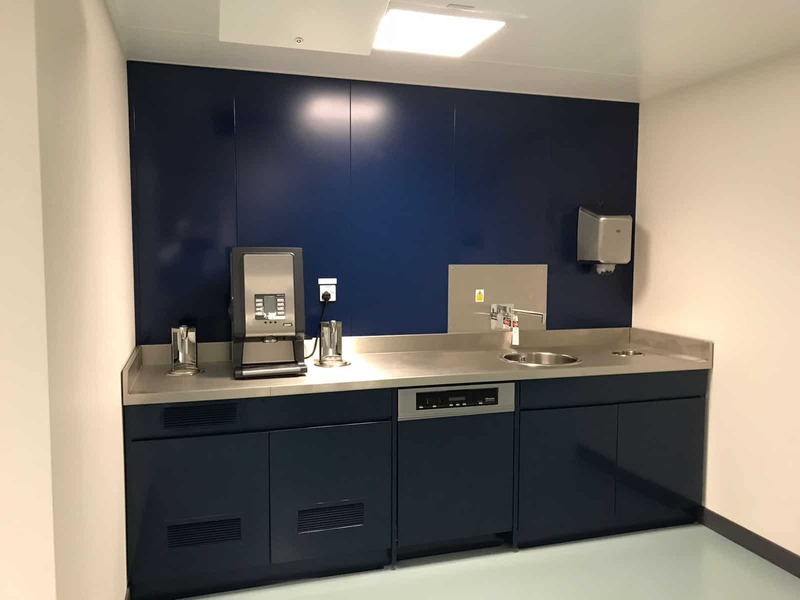 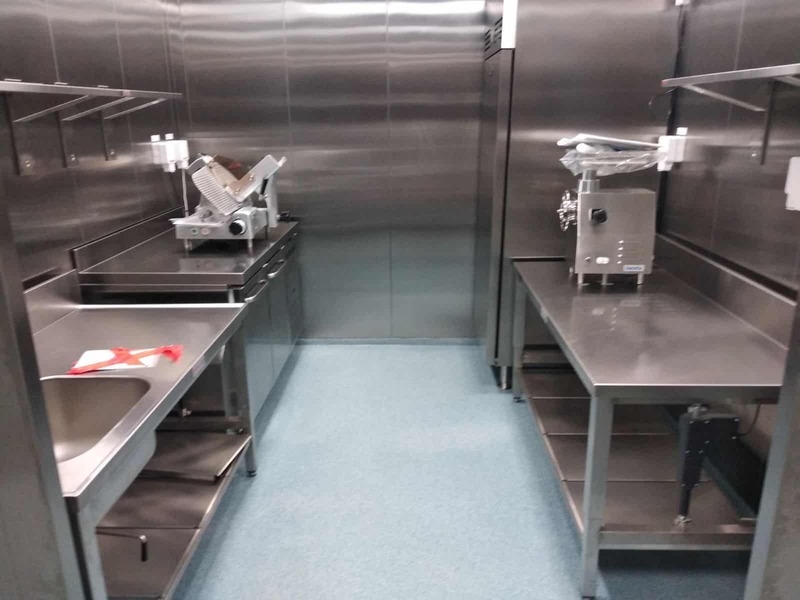 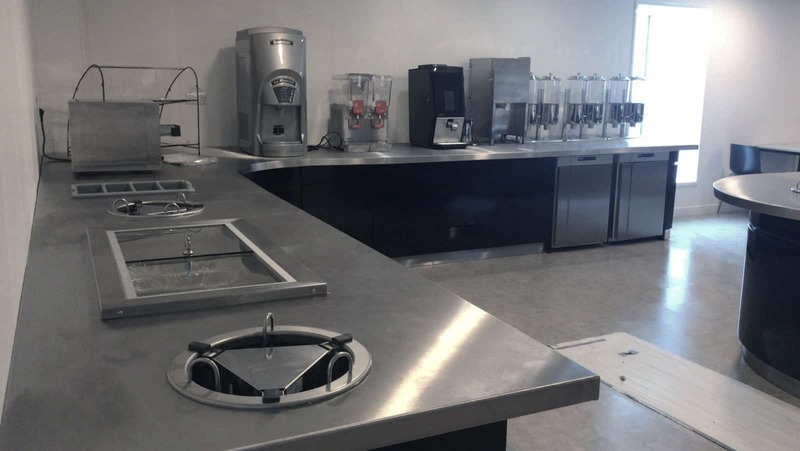 Individual preparation areas were created for dedicated food production types, but versatile, space-saving central stations provide complete flexibility when switching from one preparation requirement to another. 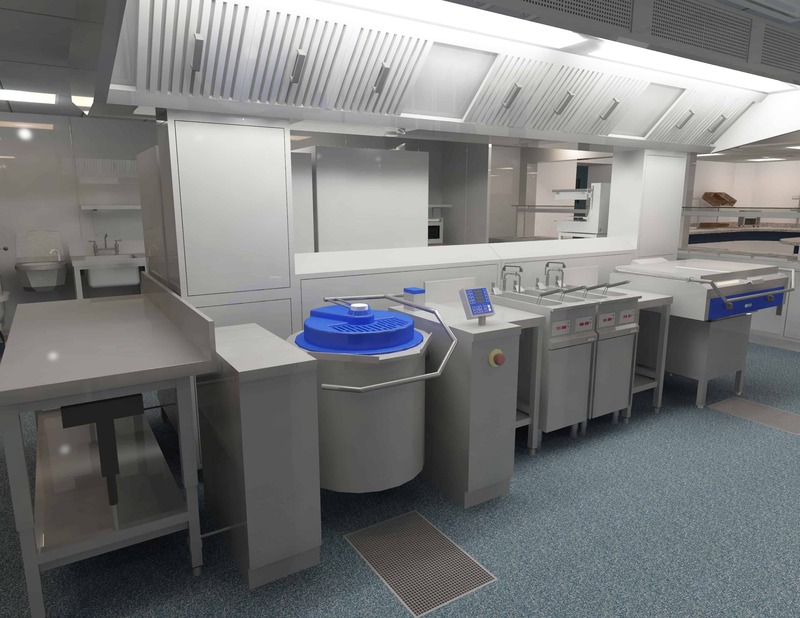 Designing a kitchen that features electrical height adjustment of all preparation and permanent work areas, we are able to cater for chefs of all sizes and eliminate the potential for back backs and continued straining. 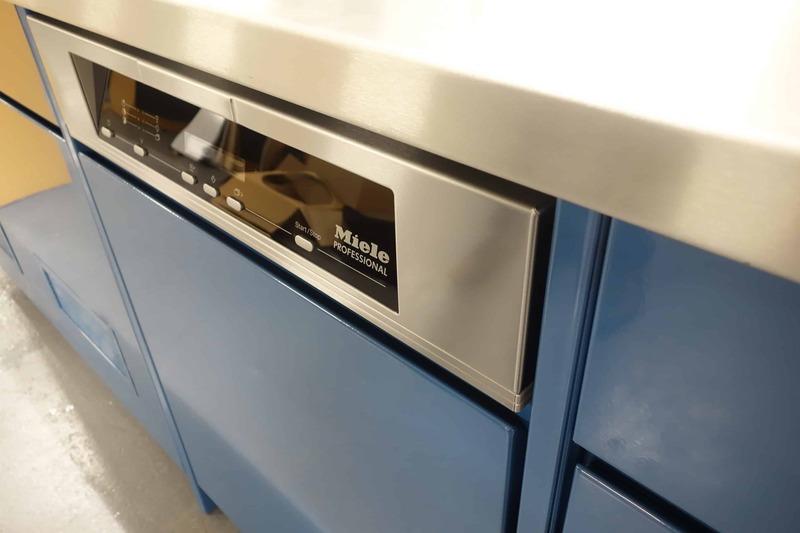 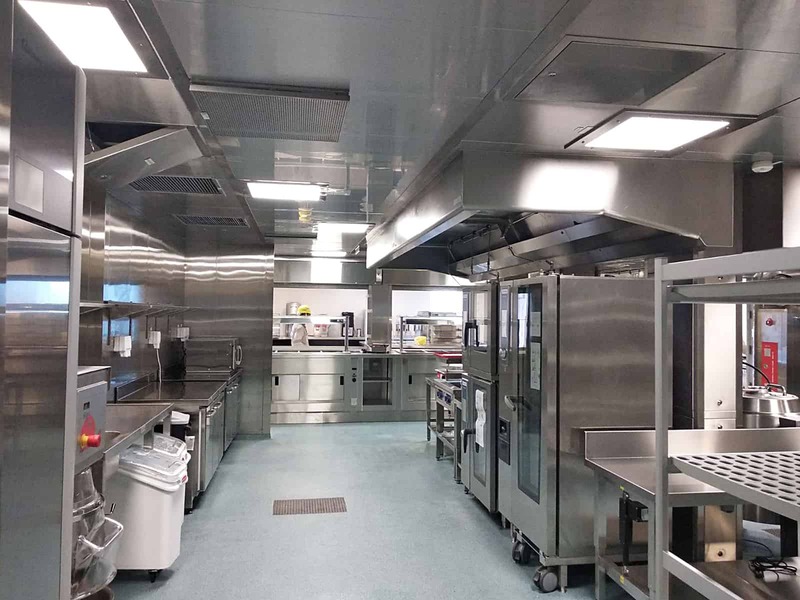 A key feature of the design includes a Halton automated self-clean ventilation canopy, allowing for a programmed cleaning cycle and ensuring any grease build-up within the duct is kept to an absolute minimum. 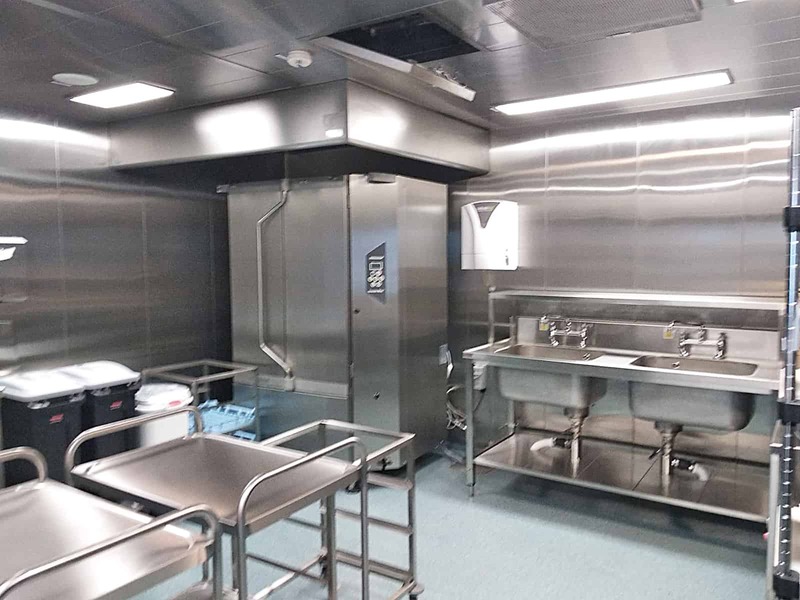 This system also reduces the need to manually clean the canopy, essential for an offshore installation. 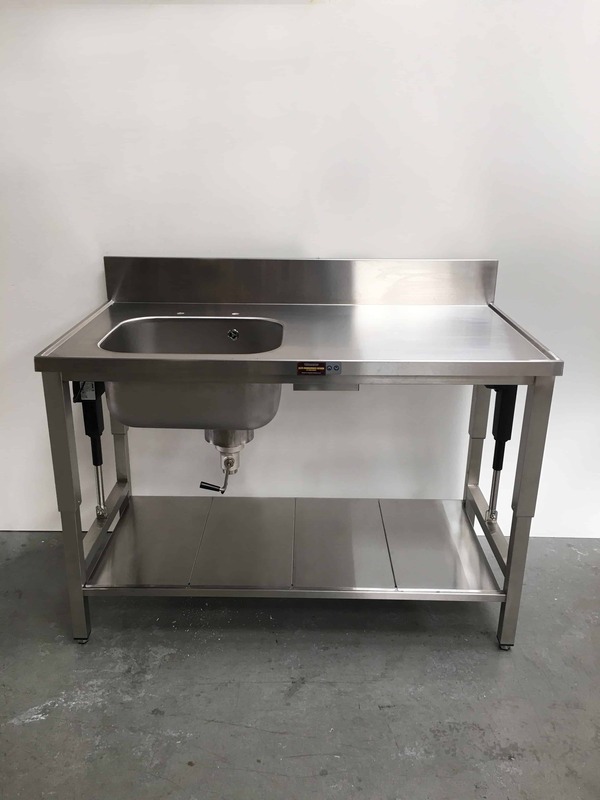 Within the scullery EFD integrated a granular potwash system that removes the need for manual scrubbing often seen within older style installations. 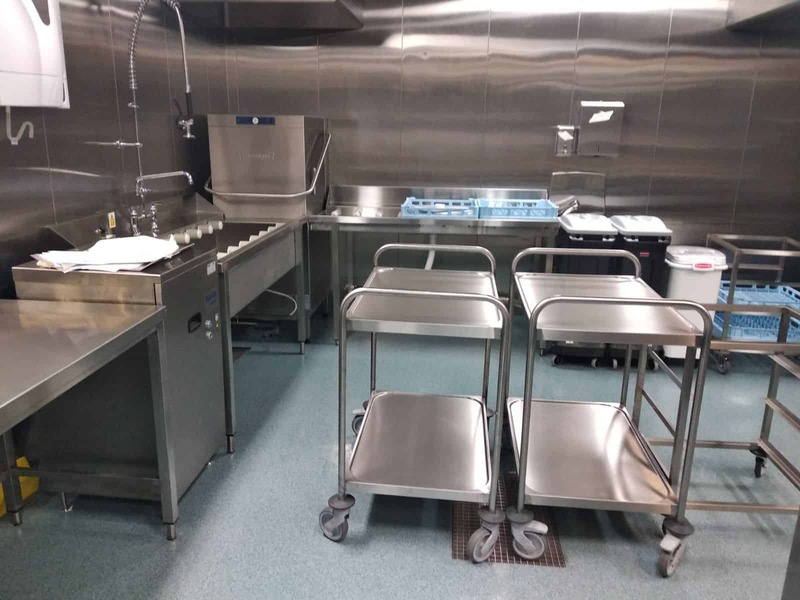 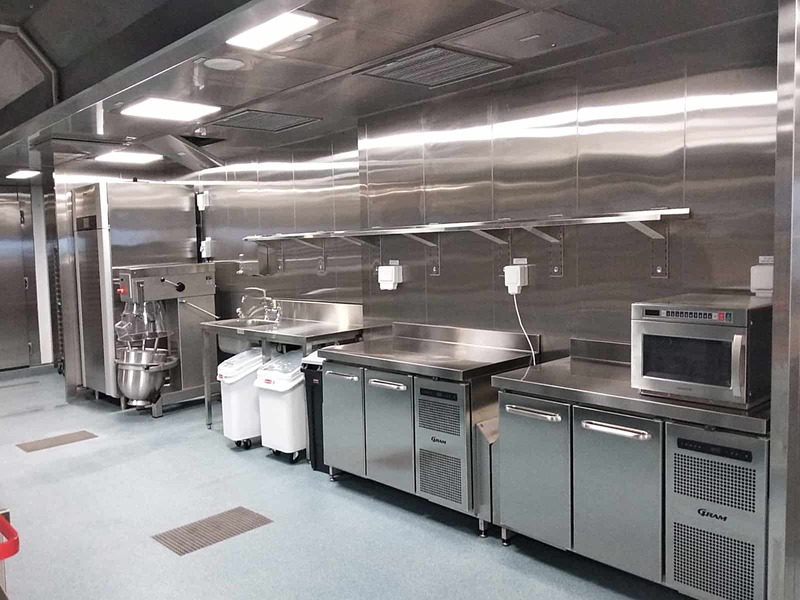 For the main pass-through dishwasher system EFD fitted heavy duty roller tables to allow for ease of basket handling together with adequate condense ventilation canopies and storage/handling facilities. 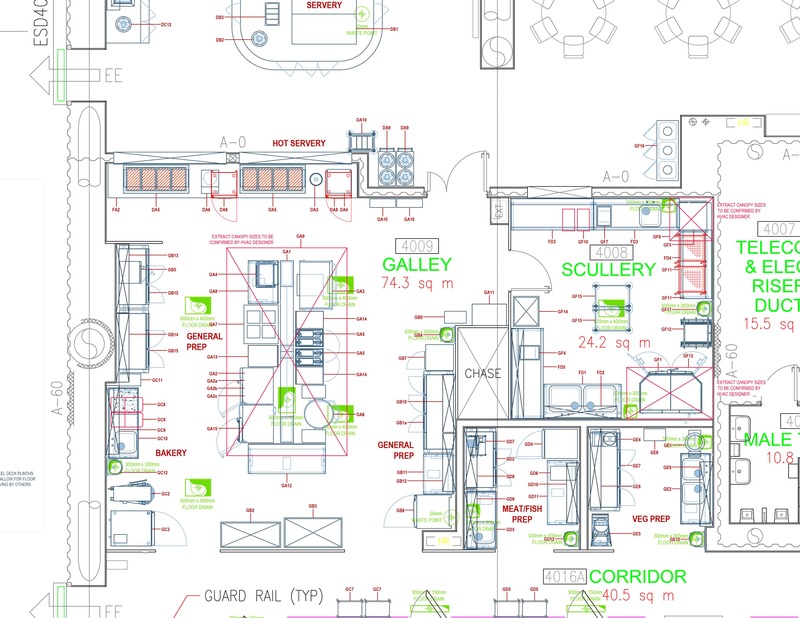 Front-of-house design was incredibly important and includes features that set high standards for the oil and gas industry. 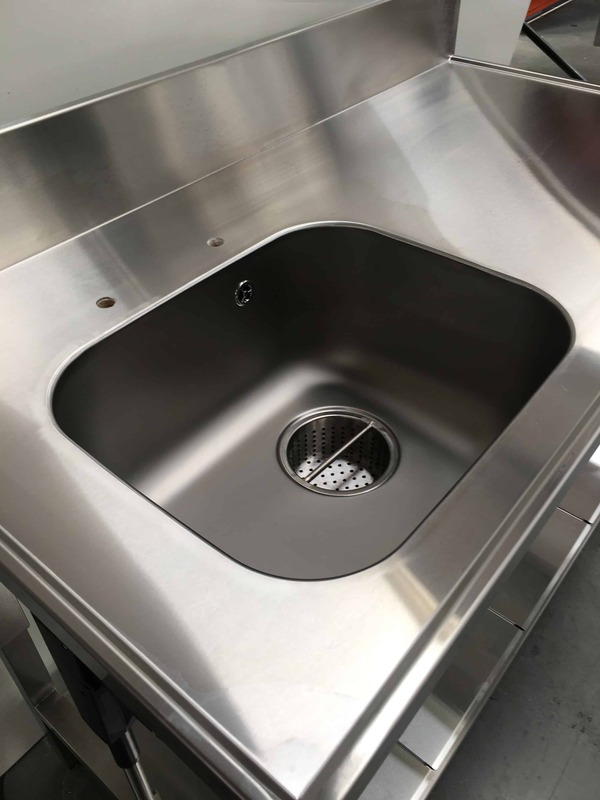 Contemporary design that features a full stainless steel hygienic construction with detailed architectural features. 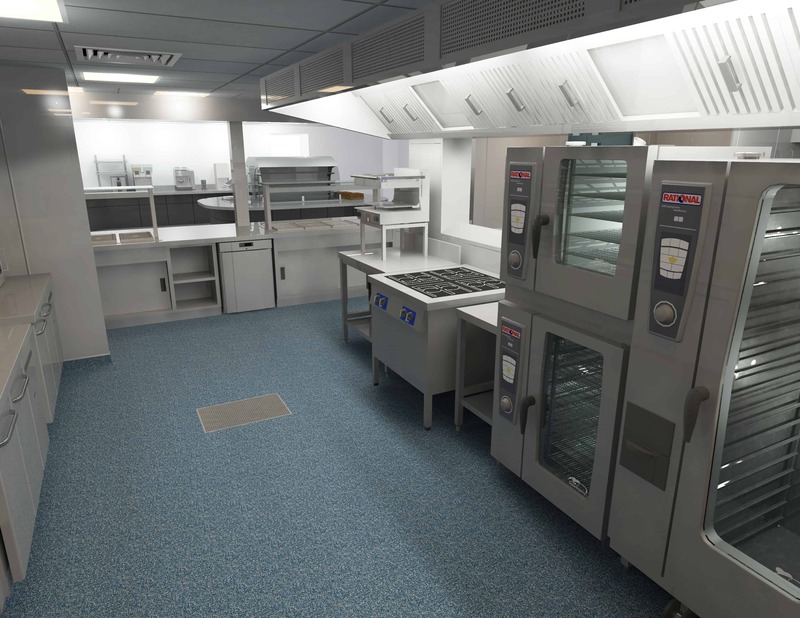 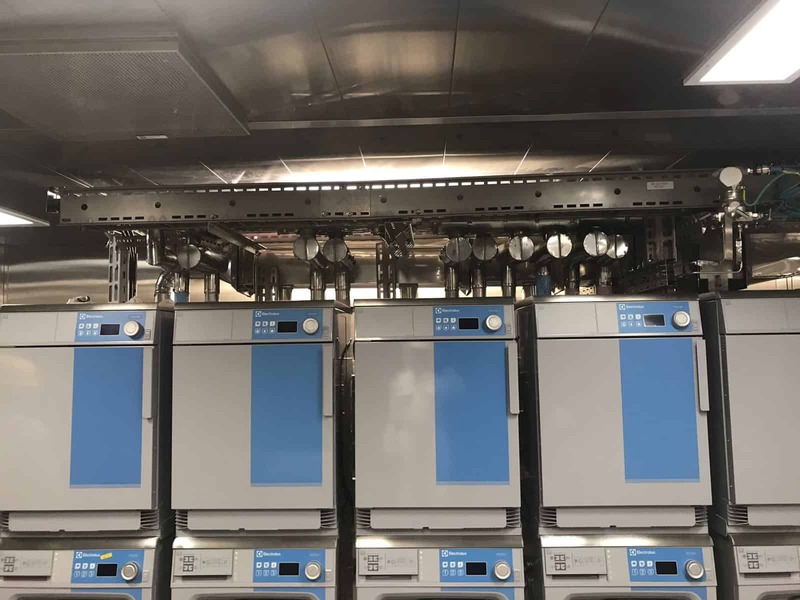 Bain maries operate in both wet and dry heat modes depending on operator preference, built-in soup and induction zones for theatre cooking and the latest food service trends. 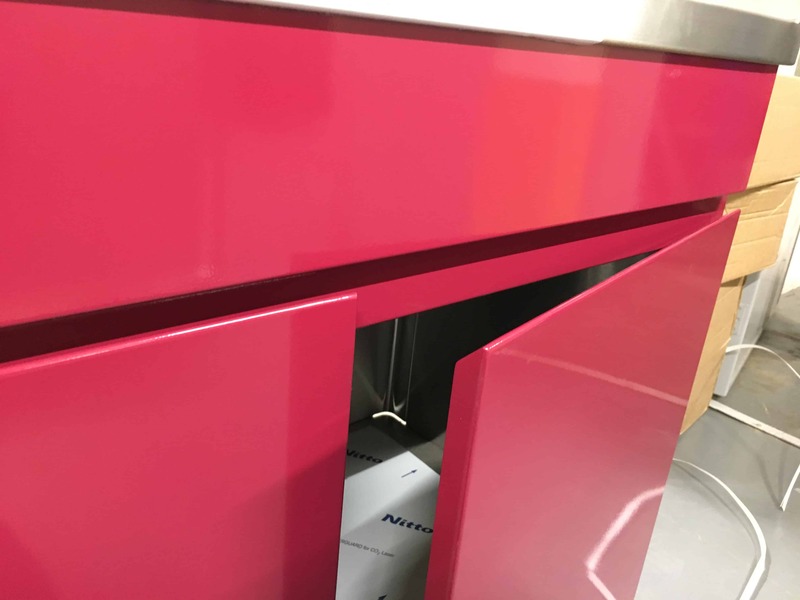 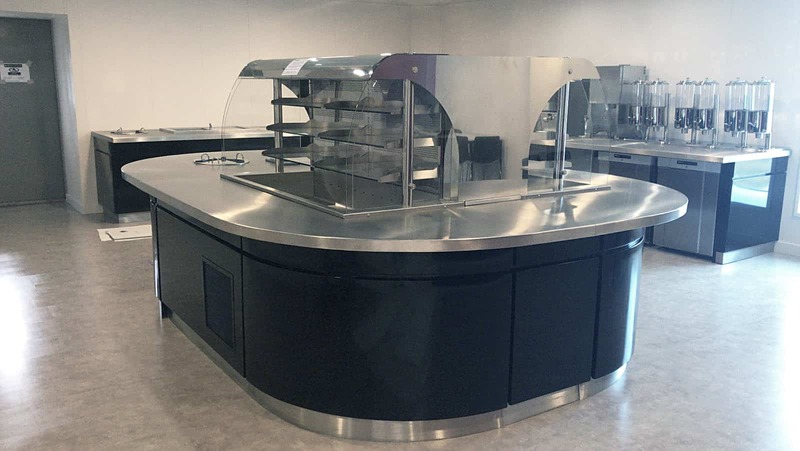 Designed and manufactured with extreme durability in mind the servery counters offer unique storage space and provide attractive presentation and accessibility of all chilled foods and beverage systems. 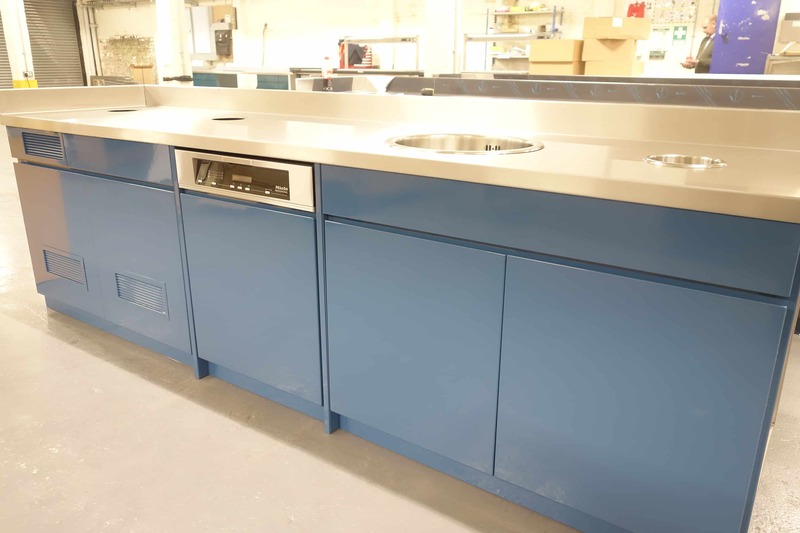 Each of the six levels of the Culzean living quarters is fitted with a fully bespoke beverage service bar that consists of a dedicated built in dishwasher, hot tap and chilled water fonts, hot beverage machine and adequate storage. 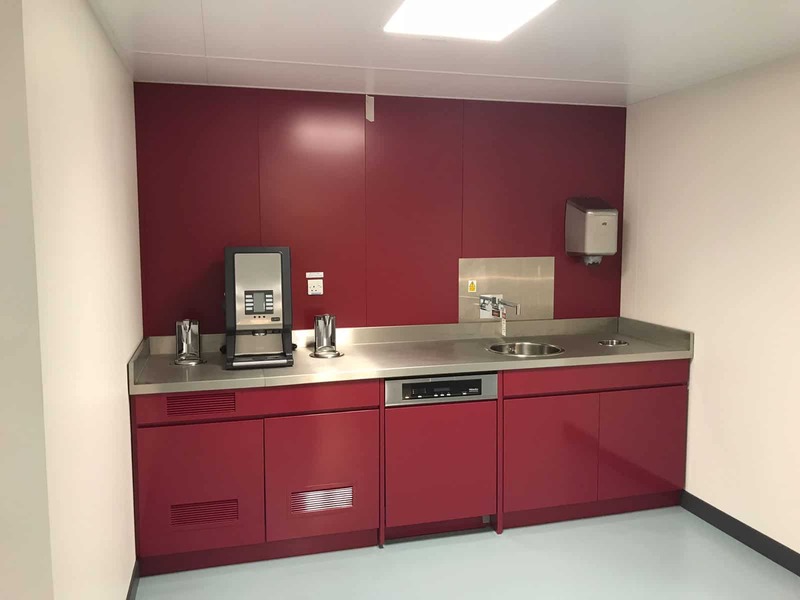 EFD designed the bars with full stainless steel construction, architecturally balanced with clean functional lines and colour coated panels. 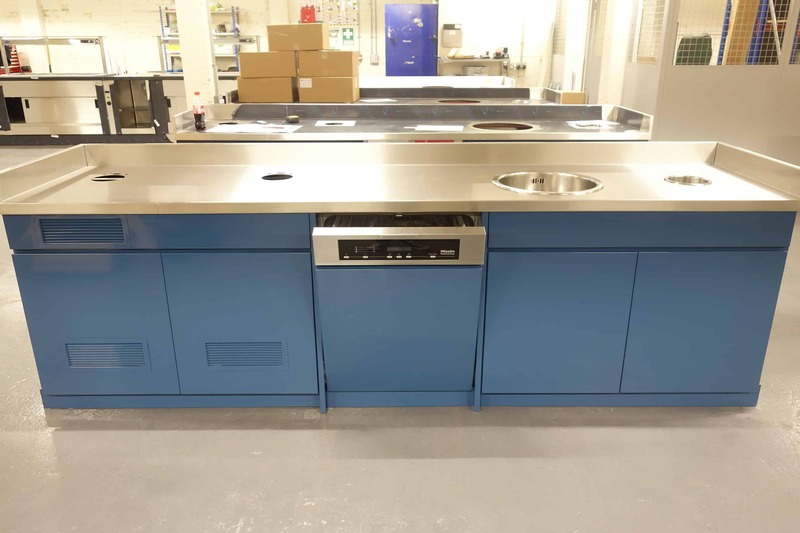 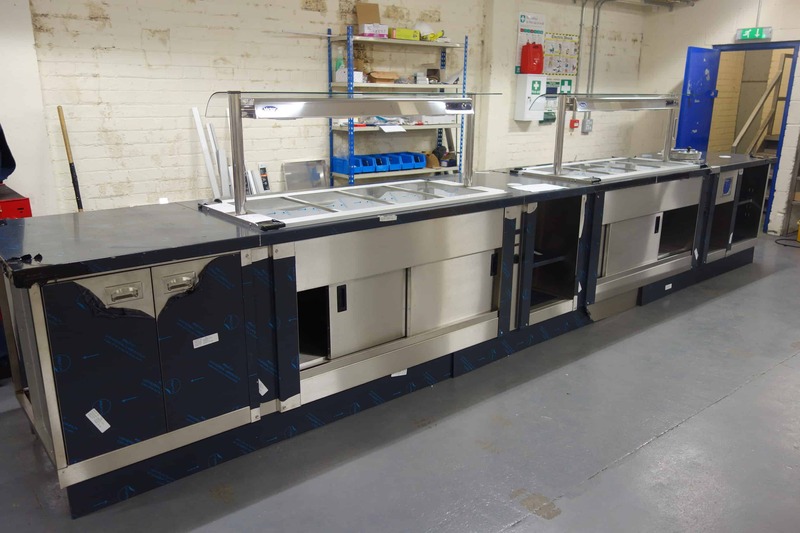 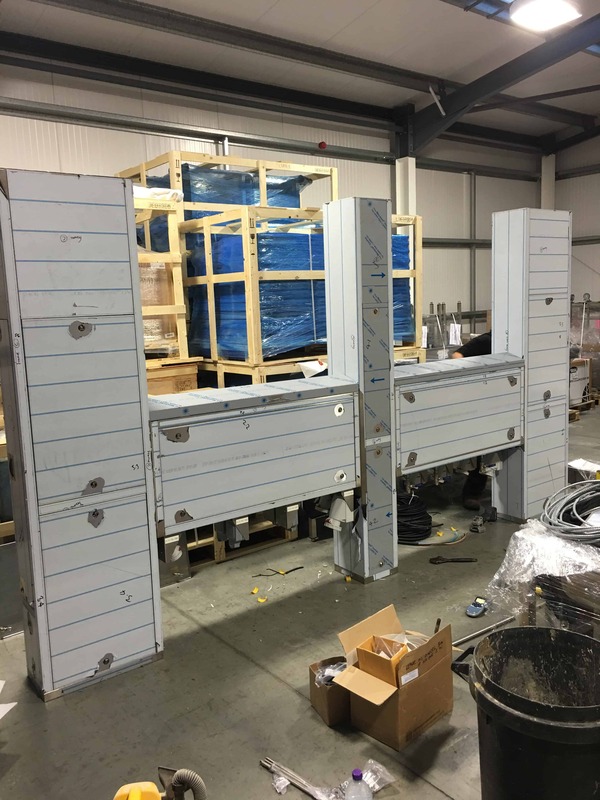 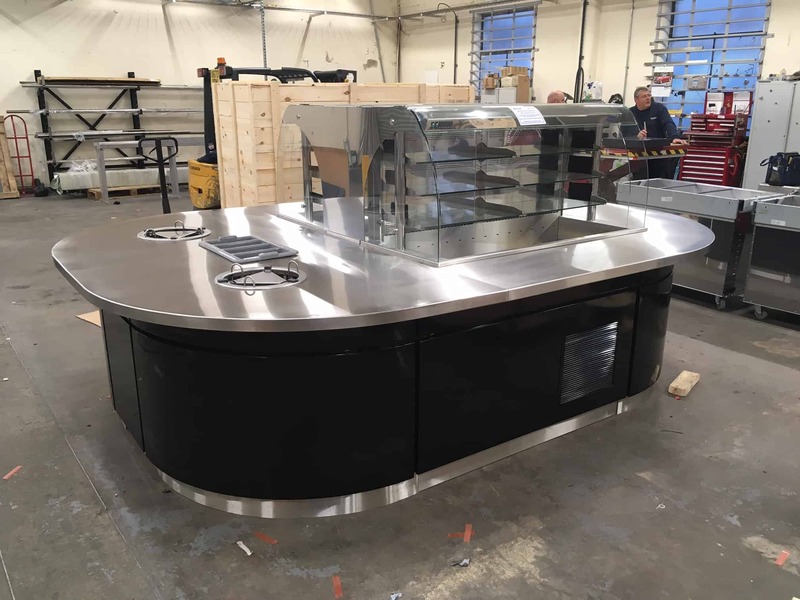 Stainless steel fabrication is a vital part of any EFD quality installation and fabrication on the Culzean ULQ featured 2mm 304 grade fully sealed insulated work tops with 150mm upstands, electric operation height adjustment, sectional removable under shelves and adjustable rear panel fixings. 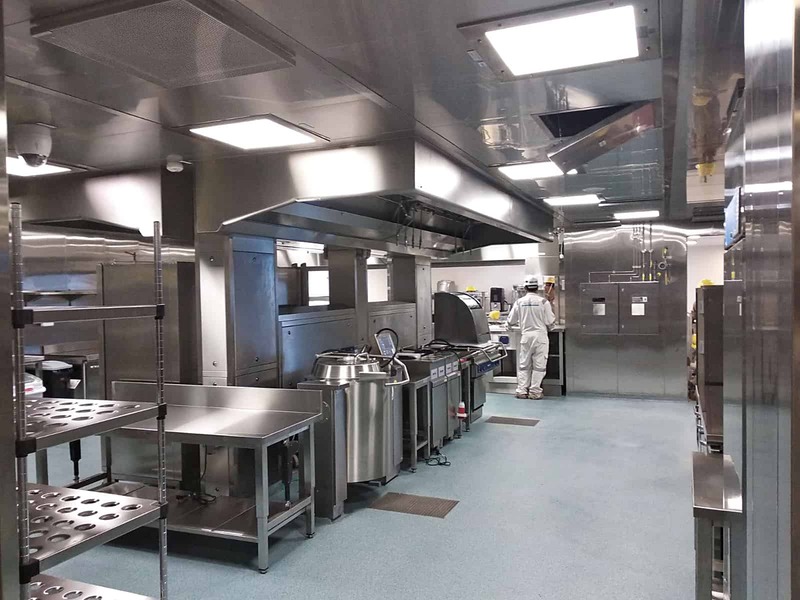 Next level fabrication that is an EFD only standard. 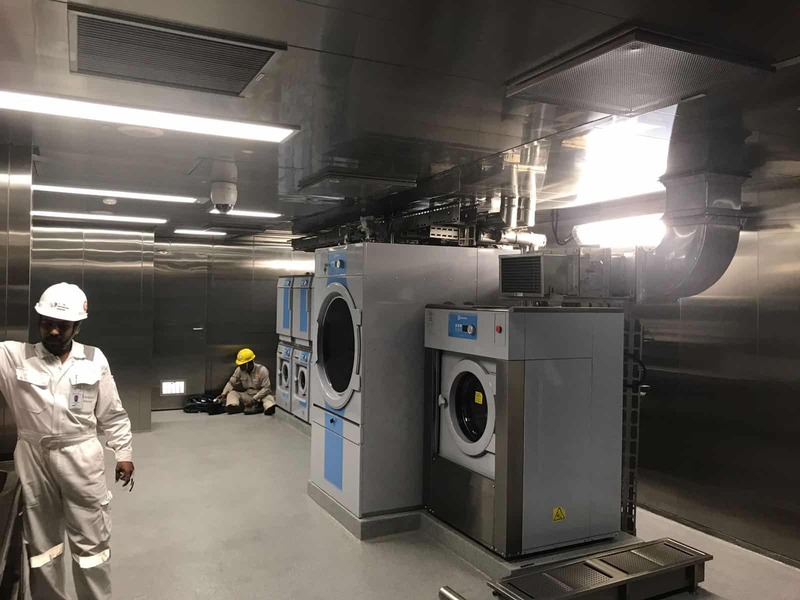 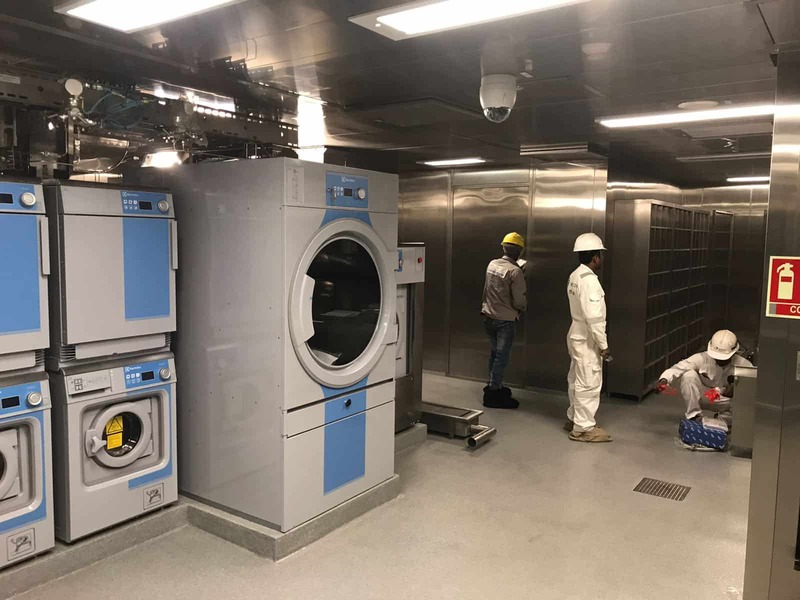 The entire project was managed on site in Singapore by EFD with equipment fabricated, designed and procured in the United Kingdom.